We're showering you in designer prizes at our Babyology High Tea Baby Shower in Melbourne! We’re showering you in designer prizes at our Babyology High Tea Baby Shower in Melbourne! Melbourne mums, you’re in for an absolute treat next month when the Babyology high tea baby shower event rolls into town! We’re giving away amazing designer wares and all manner of things stylish to the glowing mums (and dads) that will be joining us in baby celebrations on the day, so be sure to secure your ticket! Click on through to find out more. You can bet the lucky baby shower attendees who walk away with this stellar prize will be the envy of their mother’s group. Synonymous with style, Stokke never fail to deliver an uber awesome pram with both amazing build quality and super stylish design and the Stokke Crusi ticks all the boxes. The good news is that we have a classic black Crusi worth a cool $1799, to give away at each baby shower session – just the ticket for all of you on-trend Melburnians! One super lucky mama will be keeping their bub up close and snug with the Ergobaby Wrap, worth $129. 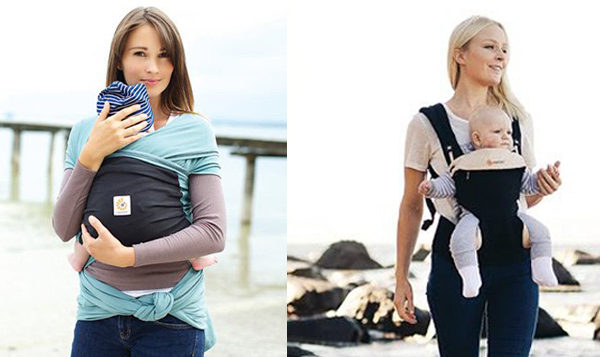 A perfect carrier for young babies that could quite happily spend all of their waking hour cuddled, it’s win-win – your bub is on the receiving end of a comforting snug cuddle and you are doing it all hands-free! 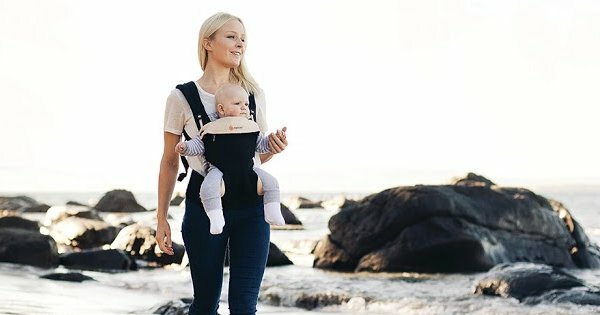 We also have an Ergobaby 360 Carrier, valued at $229, up for the taking which can be used right up until your baby grows into a toddler. Both prizes are from the amazing crew that know all the ins and outs of baby wearing, Ergobaby. Something on every expectant parents’ must-buy list is a child’s car restraint. InfaSecure have car safety tuned to a fine art and it’s evident in their excellent lineup of child car restraints – not only are they safe as houses for transporting the most precious of cargo, they’re gloriously easy on the eye. 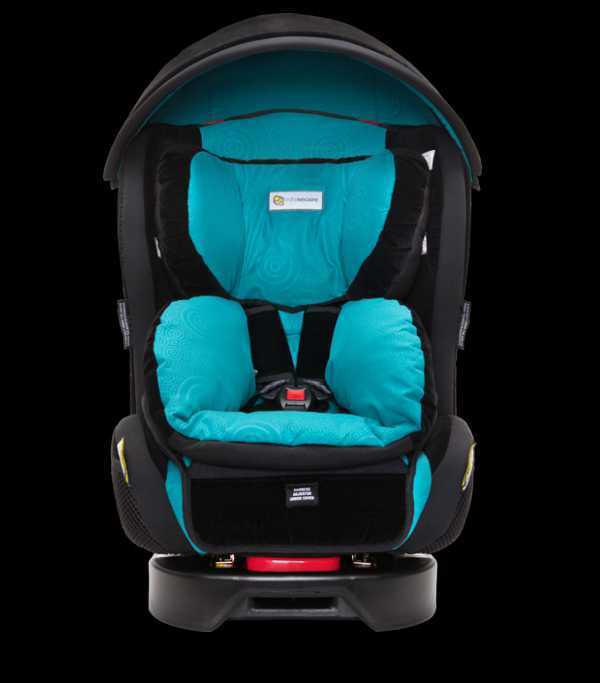 Two Babyologists won’t have to worry about purchasing a car seat – we have a pair of awesome InfaSecure Kompressor Caprice 0 – 4 car seats, worth $349.99 each to give away! Maternity and nursing bras that look like they hailed from your Nanna’s era will be banished and replaced with beautiful smalls thanks to a $200 Cake Lingerie voucher from the crew that know how to create the most stunning of maternity underwear, Cake Maternity. They sure do know how to make a new, sleep deprived mum feel special and so we also have five CupCake nursing pads gift packs, worth $33.90 each, to give away during each of our baby shower sessions. The change table will be kitted out for quite some time when stacked with a three month supply of Huggies products. What’s in a three month supply, you wonder? I can tell you it’s 24 convenience-sized packs of Newborn and/or Infant nappies, four pop-up tubs of Huggies Wipes and three refill wipes packs, and a pack of Huggies Little Swimmers. We have two of this awesome packages to give away on the day. One thing for sure is you’ll never be caught short again – you can station them throughout the house and car to avoid any messy situations! When it comes to breastfeeding, expressing is made easy and comfortable with the Swing Maxi Double Electric Breastpump we have to give away from Medela. Boost your supply with the double pumping action, the Swing Maxi breastpump is quiet, discreet and the 2-Phase Expression technology mimics a baby’s natural sucking movement, enabling you to express more milk in less time, giving you more time with your sweet cherub. Remember you have to attend one of the baby shower sessions for your chance to win! 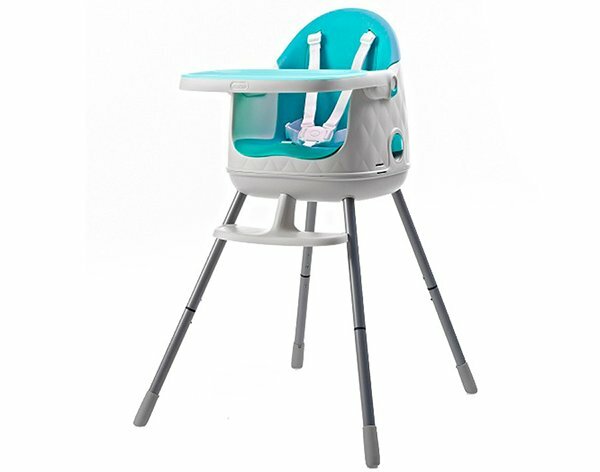 Baby Bunting are giving away two fabulous contemporary, space saving Keter Multi Dine High Chairs in turquoise, valued at $249 each. This highchair transforms from regular highchair height, to a booster seat, to a low booster and finally a junior sized chair. Its soft seat cover and smooth surfaces are a cinch to clean (and keep clean) and a five point harness means little ones stay put. The Langham Melbourne itself is giving away two Family Passes (that’s $256 of value!) to their fun Barbie Princess Power High Tea sitting. 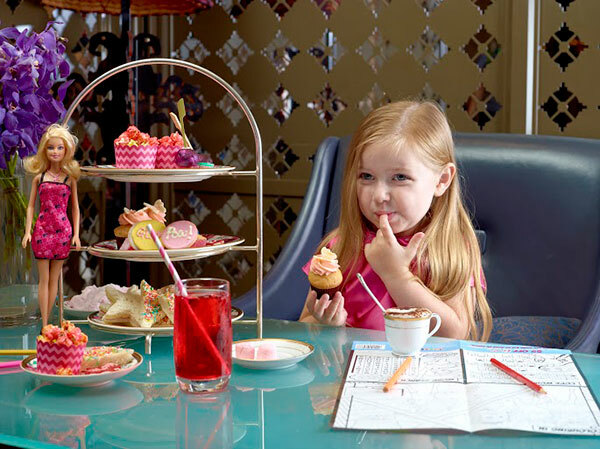 Two children and two adults will be able to enjoy all the spoils of high tea fare, munching on delectable Super Sparkle Jelly, Boots Fairy Bread and Pink Lemonade – just to name a few. Your precious baby will sleep safely at arm’s length with the magnificent Next2Me Bedside Crib from Chicco, worth $449. This smart crib can be used in conjunction with the parental bed for easy feeding and settling and then moved and used independently in the nursery while retaining a familiar sleeping environment. Genius! We’re also giving away a Lullaby Magic Luxury Portable Cot (below) valued at $495, it includes a bassinet, all the musical mobile bells and whistles, plus a parent organiser on board. Just a reminder, if you’re yet to secure your Babyology Baby Shower ticket, don’t dither – the noon session at The Langham Melbourne is already almost booked out and tickets are disappearing quickly for the 3pm to 5pm sitting too, so be super quick if you’d like to join us on the day. It’s guaranteed to be a great afternoon, full of fun and laughter and the perfect opportunity to gather your friends and family to help you celebrate in style. 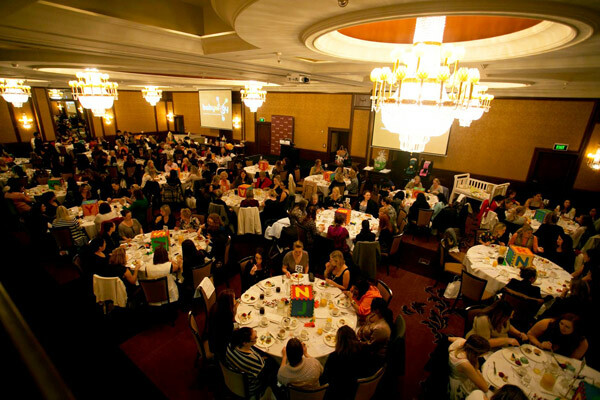 The Babyology baby shower will be held on Sunday, 19 April, at The Langham Melbourne, at noon and again at 3pm. We’re all in for a proper spoiling with a high tea spread worthy of the most special of guests, prizes galore to give away, and all in the luxurious surroundings of the elegant Clarendon Ballroom. And did I mention the Lindt strawberry fountain? – Take it from me, that you don’t want to miss. 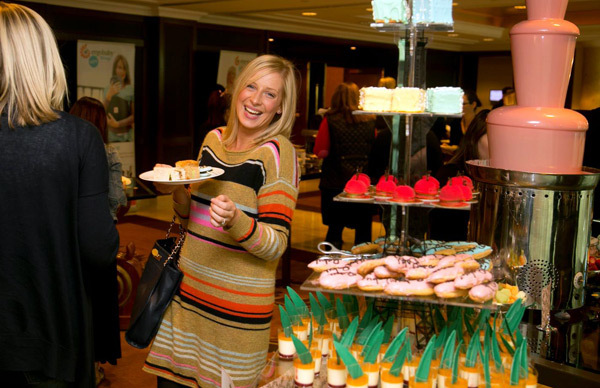 Baby shower tickets are priced $79 and booking your place is easy via The Langham Melbourne.